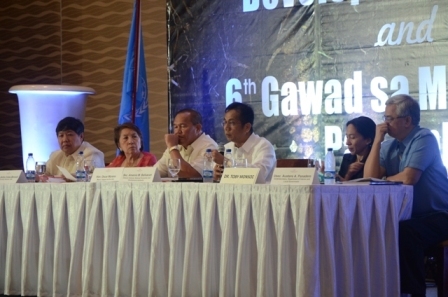 The 2012/2013 Philippine Human Development Report (PHDR) with the theme Geography and Human Development, was launched on July 29, 2013 at the Crowne Plaza Manila Galleria, Pasig City by the Human Development Network in partnership with the National Statistical Coordination Board (NSCB) and with the support of the United Nations Development Programme (UNDP). The Report may be viewed and downloaded here. The Launch proceedings and presentations may be downloaded here. 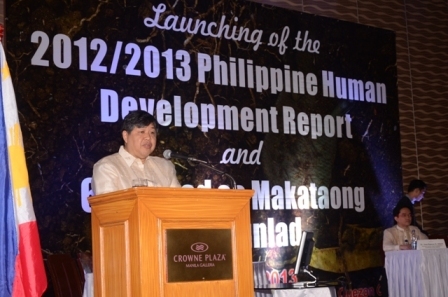 Dr. Emmanuel de Dios, HDN President, giving welcome remarks.